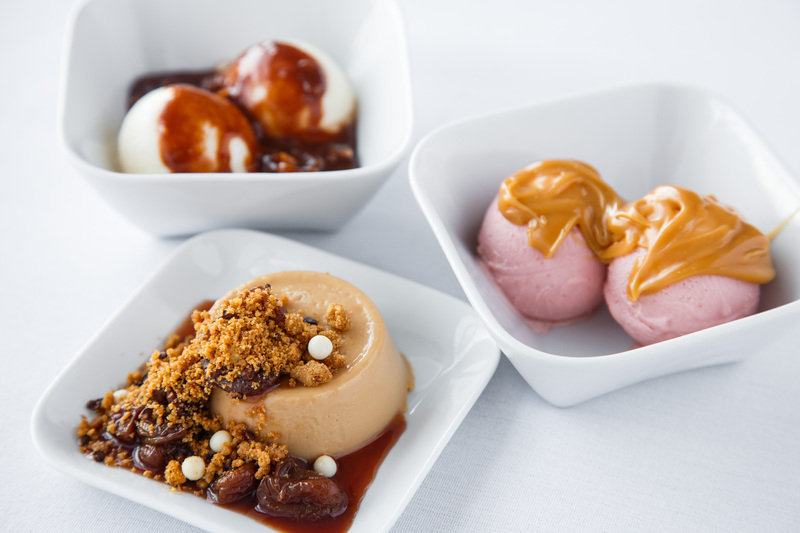 Delta is taking the art of cooking to the skies with its newest Delta One spring menu. Beginning March 1, customers flying in the Delta One cabin on select trans-Atlantic routes to Europe, and transcontinental flights between New York’s John F. Kennedy Airport and Los Angeles International Airport and San Francisco International Airport, will enjoy meals created by Executive Chef Dan Jackson of Terrace 5 and Café 2 at New York’s Museum of Modern Art. The Delta One menu reflects Chef Jackson’s seasonal, modern American cuisine that blends flavors from Italy, India, and even his home state of North Carolina, appealing to international and local MoMA visitors. The institution’s worldwide draw is exemplified through the Delta One menu, incorporating colorful spring produce and locally sourced ingredients. Highlights include Curry Braised Chicken Leg with Basmati Rice, Smoked Short Rib with Barbejus, Potato Puree, Swiss Chard and Tomato Jam as well as Baked Cavatelli with Wild Mushroom, Swiss Chard and Parmesan. Chef Jackson will create breakfast, lunch and dinner menus for Delta One, and select items will refresh on the first of each month from March 1 until May 31. The dishes will be prepared in the Union Square Events kitchen in Manhattan, home to the catering and venue hospitality arm of Union Square Hospitality Group, and delivered to JFK to be boarded on Delta flights. Delta’s partnership with Cafes at MoMA deepens its current collaboration with Danny Meyer’s Union Square Hospitality Group to feature seasonally-rotating menus designed by its chefs. Past rotations with USHG include the winter menu from Maialino, fall menu from North End Grill, summer menu from Union Square Events, the spring menu from Union Square Cafe and last year’s winter menu from Marta. The latest menus pair with Delta’s wine program curated by Master Sommelier Andrea Robinson, which follows a similarly seasonal approach. Robinson has sourced a number of wines from, small, artisanal wineries that bring a flavor and body uniquely their own. To ensure customers experience an elevated in-flight experience on routes that do not feature the Cafes of MoMA menu, Delta is featuring the flavors of spring on board in its First Class and Delta One cabins throughout its network.